Minnesota’s corn growers are investing in research and education to reduce nitrate loss as part of their mission to become the most environmentally responsible and sustainable corn farmers in the nation. Since 2014, corn farmers have invested nearly $6 million of their own funds through the corn check-off in education and research that improves nitrogen management strategies. Through farmers’ corn check-off investment, the Minnesota Corn Growers Association (MCGA) is working with leading researchers to develop best management practices that protect Minnesota’s drinking water while maintaining productive farm operations. Since 2014, MCGA has invested more than $3.1 million in research projects alone that better define the nitrogen mineralization process, examine effective practices in reducing nitrate loss and more. In addition to its investment with third-party researchers, MCGA is working with growers on farmer-led research projects focused on nitrogen management through the Minnesota Corn Innovation Grant Program. The state’s corn growers invested more than $270,000 in farmer-led projects, including innovative nitrogen application techniques and irrigation techniques that feed the right amount of nitrogen at the right time. And as we continue to learn more about nitrogen management, MCGA is investing in efforts that ensure these practices are translated to the field. Since 2014, more than $2.8 million has been directed to nitrogen-specific education programs for Minnesota’s corn growers. For example, more than 600 farmers and counting have attended the University of Minnesota Extension’s Nitrogen Smart program, which is helping farmers become more effective with their use of nitrogen. Farmers who attended a Nitrogen Smart seminar reported an average reduction in nitrogen application of 33 pounds/acre and 25 pounds/acre in 2016 and 2017, respectively. 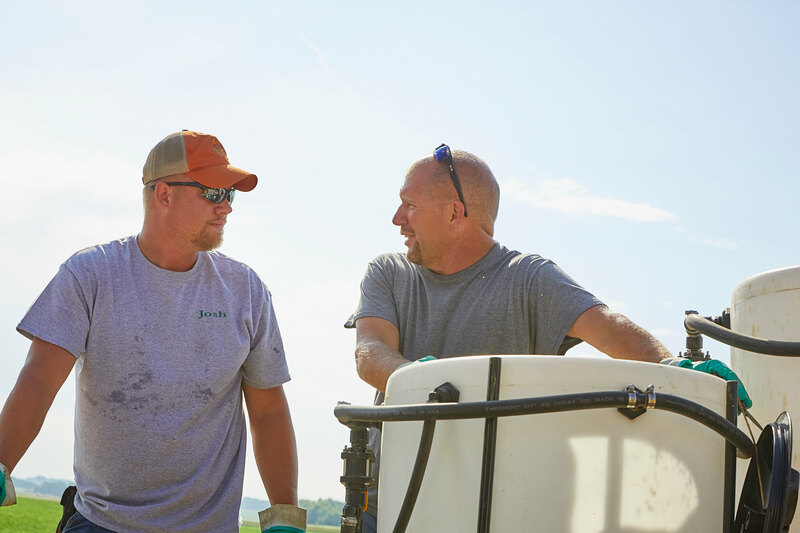 MCGA also works with farmers and researchers to host field days where growers have an opportunity to see nitrogen management practices in action on a Minnesota farm. To learn more about the proactive steps Minnesota’s corn farmers are taking to improve nitrogen management practices and protect our natural resources, click here.